Parts of these articles have been republished in exploit-db and shellstorm. They ‘ve also been translated. Finally, it seems that another project has been based on them. The whole communication between the Agent and the Handler resembled a port scan like a reoccurring nmap -sS <AgentIP> -Pn, with the Agent responding with RST, ACK for all packets. The communication was IP independent, so the Handler could switch IPs midways, to try and prevent being spotted and blacklisted as a Scanner IP, while Agent would still recognize the same Handler regardless of the Source Address. The code of this project was so much spaghetti that I was ashamed of myself for being the author… So I, didn’t publish it. Yet, while trying to refactor this exact code, I came up with the idea of covertutils. Avoiding Scapy dependencies, managing compression for super low tunnel bandwidths and Totally IDS/IPS evading payloads were ideas from Pozzo & Lucky. So, now the covertutils project became mature enough to manage a whole re-write of the Pozzo & Lucky backdoor with only covertutils dependency and pure Python2. Some readers were displeased that I didn’t publish even later (while I said that I’d do). This was a common case where code refactoring took a year… It happens. Installing Lucky (the Agent) to any Internet facing host could make it obey to remote commands without raising any suspicion through netstat/lsof -i and the alike (as no connection is really made) or make itself visible through beacons leaving the host. It does not rely to standard binary patches like SSH Server dual password login or Apache module backdoors. The commands are received by parsing IP Identification Field, TCP Sequence Numbers and Source Ports. 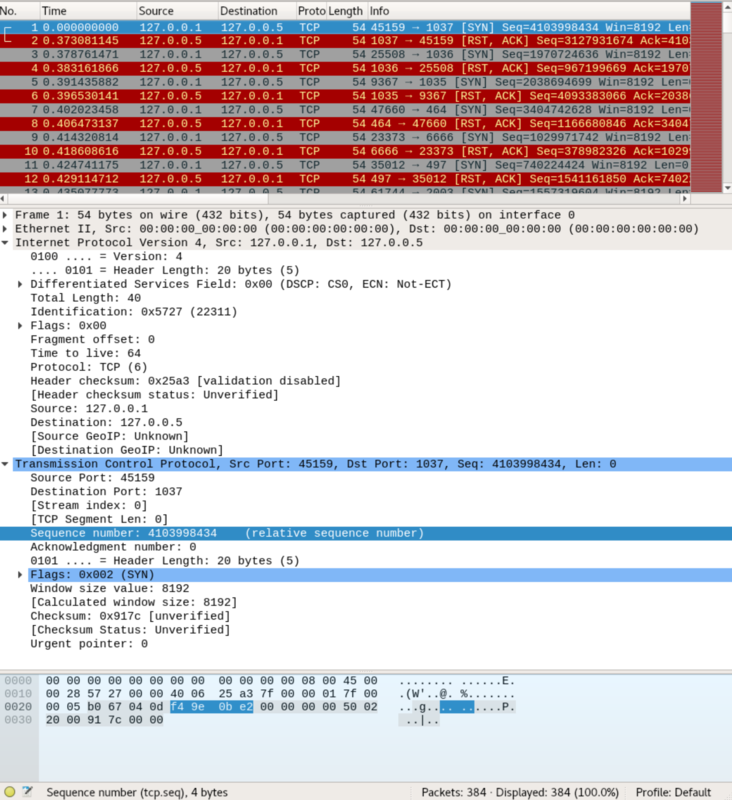 The responses are sent by cooking new packets with the payloads attached to the same fields. The TCP protocol isn’t violated in any way, so IDS signatures are sure to not trigger! This is a Linux Only backdoor. Both Pozzo and Lucky need root or the raw socket capability to run. Packets are sniffed from Layer 2, so host Firewalls do not block it by design. Lucky and iptables read from the same source (kinda). Fully commented and as self-explanatory as I could. Not needed, as it is hardcoded in both sides, but useful to be listed separately. It utilizes the agnostic parsing capabilities of covertutils.datamanipulation.stegoinjector.StegoInjector class to inject payload to IP/TCP packets. '_data_ + 1'    # Eval this string (with the extracted/unpacked data as '_data_') and pack the result. # print "[+] Got Chunk!" # print "[%] Got a Message!" assert responded == True		# This way we know it responsed! # print "[+] Got a Chunk"
handler = Handler( recv, send, orchestrator )	# Instantiate the Handler object. Finally! handler.preferred_send = handler.sendAdHoc	# Change the preferred method to use it with the shell.